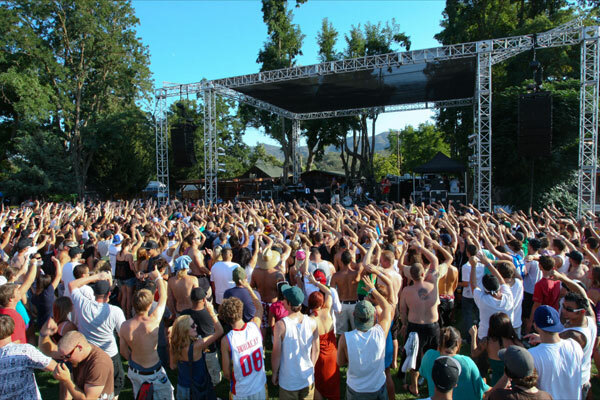 Even though summer is cooling down, concert season on the Central Coast is just heating up! With beautiful beaches, miles of vineyards, and seemingly perpetual blue skies, our coastal community serves as the perfect backdrop for live performances across the county. Check out some of our favorite concert venues and the artists that will be performing before you start planning out your fall weekend activities. Prepare yourself for the ultimate wine country experience when you buy tickets to a performance at the Vina Robles Amphitheatre. This venue is nestled in the heart of Paso Robles Wine Country, located along Highway 46 East among vineyards and wineries galore. In fact, the amphitheatre was opened in the summer of 2013 as an addition to the existing Vina Robles Winery. Both the winery and the amphitheatre pride themselves on “European Inspiration” and “California Character,” leading to the execution of an idyllic entertainment venue that has a small town feel with big name artists. Acts like Tony Bennett, Darius Rucker, The Steve Miller Band, Lee Brice, Tedeschi Trucks Band, and many more have graced the stage at the Vina Robles Amphitheatre. This fall, catch Dolly Parton, Cyndi Lauper, and The Doobie Brothers live! 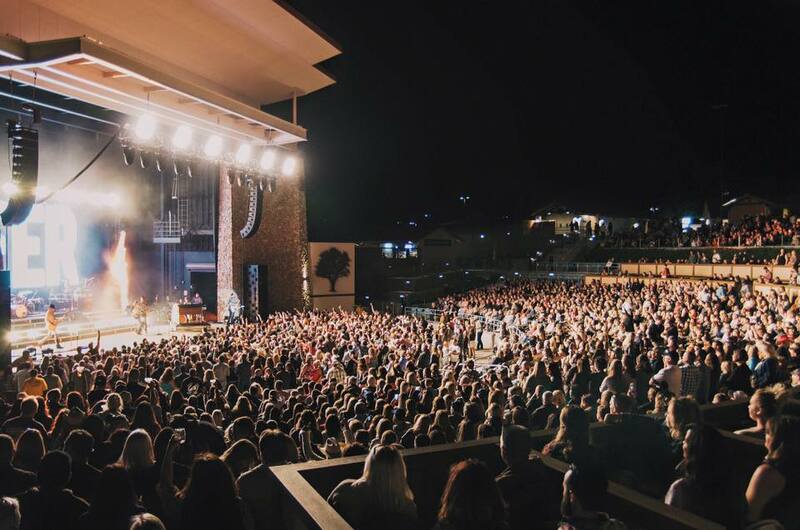 As San Luis Obispo County’s third-largest entertainment venue with over 3,300 seats, concert goers have the choice of sitting in VIP Boxes, Jardine Tables, or Lawn Seating. With their 60-foot-by-40-foot stage and as a finalist in Sunset Magazine’s 2016 Travel Awards for Best Outdoor Music Venue, there isn’t a bad seat in the place. Visit Vina Robles Winery before the show, and enjoy a two for one wine tasting as part of our California Wine Month celebration. As a Martin Resorts guest, take advantage of exclusive offers at our favorite wineries throughout the entire month of September! VIna Robles is just one of the many wineries we’ve partnered with for this fun project. For over 20 years, Avila Beach Golf Resort has been the hub for mainstream entertainment on the Central Coast. Their yearly concert series runs from May through October in the heart of Avila Beach. With the Pacific Ocean behind you and the coastal breeze blowing through your hair, this venue, called “Paradise Cove” is exactly that–a paradise. The Resort offers a wide selection of local beer, wine, and other drinks as well as fresh food from The Grill in Avila Beach and from local vendors, offering concert goers a truly unique #CentralCoasting experience. Musicians as big as Jack Johnson, Jefferson Starship, Crosby, Stills, & Nash, and many more have taken the stage at Paradise Cove, and there’s even more to look forward to. Chris Young, ZZ Top, and Wille Nelson will be performing live this fall, so get your tickets soon! One of the best parts about the Resort? It’s just down the road from Avila Lighthouse Suites! Why only stay for the show when you can stay for the entire weekend to enjoy all the beauty of Avila Beach! The Pozo Saloon may be the oldest concert venue on the Central Coast, but they certainly know how to put on a good show after all these years of doing so. The Pozo Saloon was built in 1858 and has become a Central Coast landmark, reminding concert goers of what the west used to be like. 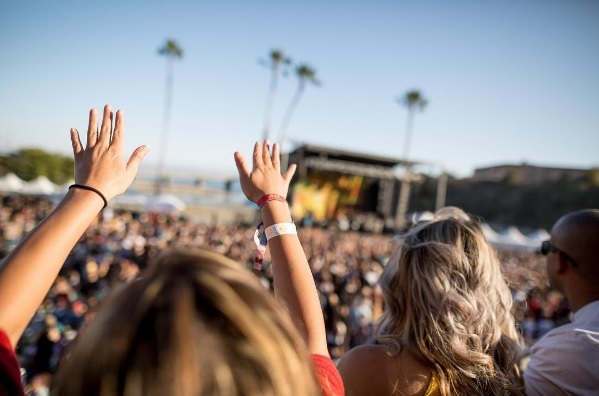 Nestled in the countryside of beautiful Pozo, just outside Santa Margarita, enjoy panoramic views of rolling hills and seemingly endless sunshine while jamming out to some of your favorite artists. The Pozo Saloon offers a unique line up of concerts, festivals, and other special events. Annual festivals like the Pozo Stampede and the Higher Grounds Music Festival draw in crowds of over 3,000, offering guests the opportunity to camp out for the duration of the festival, making it the only venue on the Central Coast to offer overnight camping for a true festival experience. From Snoop Dogg to Lynyrd Skynyrd, the Pozo Saloon has hosted artists from a wide variety of genres. With Easton Corbin playing this Sunday, Picnic in Pozo at the end of September, and The Harvest in October, there’s a show for everyone at the Pozo Saloon. Out of all the Central Coast concert venues, the Chumash Grandstand Arena at the California Mid State Fair in Paso Robles has certainly seen the most superstars on their stage. From Johnny Cash in 1989, to Britney Spears in 1999, from Aerosmith to Journey, from Justin Bieber to Justin Moore, the concert lineup at the “Biggest Little Fair Anywhere” gets more impressive each year. In fact, for only the second time in CMSF history, country star Blake Shelton sold out all 14,857 seats of the Chumash Grandstand Arena for his concert last July. Aerosmith was the only other act to achieve this back in 2007. 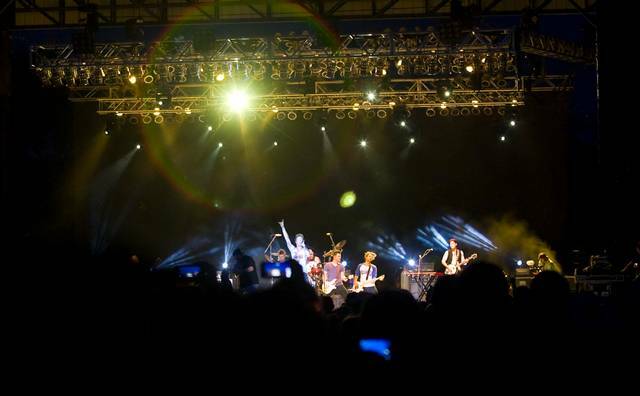 The Grandstand makes for the perfect summer concert venue. Located just minutes from Downtown Paso Robles, the CMSF is the place to be on the Central Coast for the last 12 days in July. Before or during your concert, enjoy local beer and wine, your favorite carnival foods, art and animal exhibits, and much more. Looking for some entertainment that’s more intense? The Grandstand also hosts rodeos, monster trucks, and more! Plan ahead, stay at the Paso Robles Inn next July during the fair to make sure you don’t miss another great lineup!